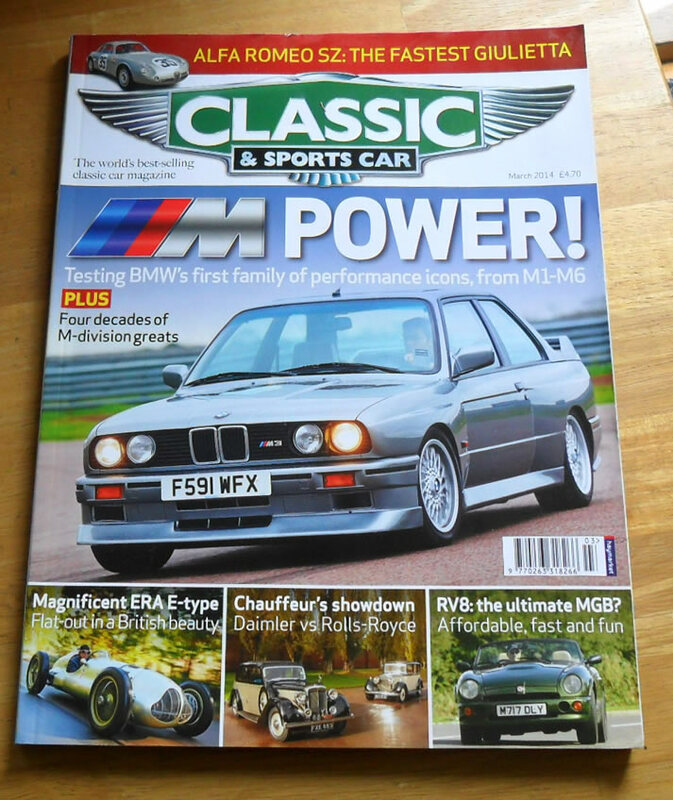 March 2014 of the British Magazine, Classic and Sports Car. 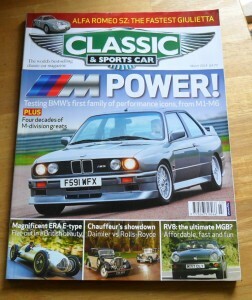 The cover feature of this issue is The BMW M series. Other articles include items on the MGB RV8, Alfa Romeo SZ, ERA E-Type, Ferrari 365GT Speciale, Jeep Wagoneer and many more.